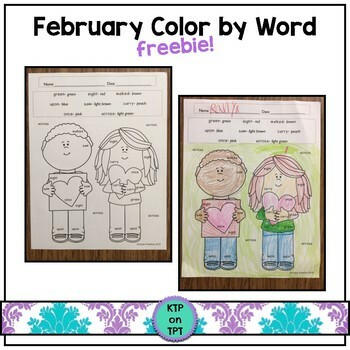 This freebie includes 6 different coloring pages with sight word keys, similar to a color by number. This are perfect for any primary classroom, either in a Word Work Center or just a fun coloring time! Hope you enjoy them! Please check out my store for other February themed activities.